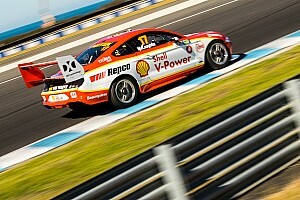 Alert Energy driver finishes disappointing 40th. It wasn’t the return to the NASCAR Sprint Cup Series that Elliott Sadler hoped for in the STP 400 on Sunday at Kansas Speedway in Kansas City, Kan. Instead, the day ended early with a heavily damaged racecar in the garage and Sadler, the driver of the No. 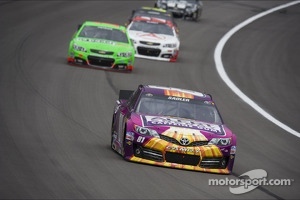 81 Alert Energy Toyota Camry for Joe Gibbs Racing (JGR), with a disappointing 40th-place finish. “We just got a little loose getting into turn three,” said Sadler, who spun and hit the wall in turn four on lap 85. “The car was kind of darting around a little bit, and I was just kind fighting the steering of it some. It just came around on me too quick, and it just ended a lot shorter than I wanted to. The STP 400 was Sadler’s first race in a Sprint Cup car this season and his first for Alert Energy, a new energy product for adults that lets people control the amount of caffeine they want on-the-go. One piece of gum is equivalent to about a half cup of coffee. From the drop of the green flag, Sadler told crew chief Chris Gayle his Alert Energy Toyota was too loose and getting looser with each lap. By lap 25, Sadler fell to 34th in the running order. Sadler also told his crew the car was darting around the racetrack. When the caution flag waved at lap 39, Sadler brought his Alert Energy Toyota to the attention of his crew for some aggressive changes. The crew made a packer adjustment in the left front shock and put a spring rubber in the left rear, in addition to four tires, fuel and an air pressure adjustment. 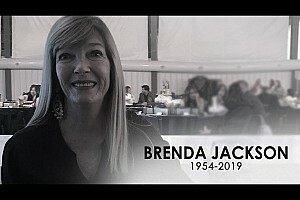 Gayle hoped the changes would help the stability of Sadler’s racecar. But Sadler quickly reported that the changes weren’t nearly enough, telling his crew that he had his hands full on the racetrack. A caution at lap 74 gave the crew another opportunity to work on Sadler’s loose, unstable racecar. Sadler pitted for four tires, fuel, air pressure and wedge adjustments. The crew also adjusted the front-end geometry of the racecar outward to help make the ride more stable. But shortly after the restart, it became apparent that the changes had not helped Sadler’s ill-handling racecar. “I have no idea which way this car is going to go when it gets to the corner,” Sadler said over the radio. Just a handful of laps later, Sadler spun and crashed into the turn four wall, ending his day early. 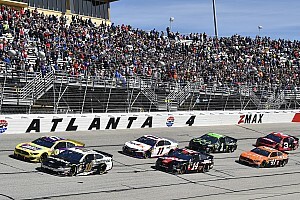 “We are going to dissect it and see what changes we made and things we can do to better prepare ourselves for the next race,” Sadler said after the race. Sadler will return to the seat of the No. 81 Alert Energy Toyota Camry in two weeks at Talladega (Ala.) Superspeedway. Sadler’s JGR teammate Matt Kenseth, driver of the No. 20 Toyota Camry, won the STP 400 from the pole position to score his 26th Sprint Cup victory, his second of the season and his third win at Kansas. Fellow JGR pilots Brian Vickers, interim driver of the No. 11 Toyota Camry for the injured Denny Hamlin, and Kyle Busch, driver of the No. 18 Toyota Camry – finished 31st and 38th, respectively. Kasey Kahne finished .150 of a second behind Kenseth in the runner-up spot, while Jimmie Johnson, Martin Truex Jr. and Clint Bowyer rounded out the top-five. 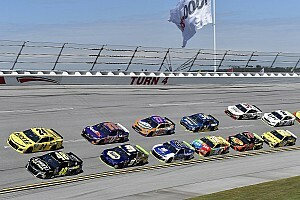 Brad Keselowski, Jamie McMurray, Aric Almirola, Mark Martin and Paul Menard comprised the remainder of the top-10. There were eight caution periods for 40 laps, with 10 drivers failing to finish the 267-lap race. With round eight of 36 complete, Busch continues to lead the JGR contingent in the championship point standings. He fell five spots to seventh and has 257 points, 54 back of series leader Johnson and 17 points ahead of 10th place. Kenseth gained two spots to eighth, 59 points out of first and 12 points ahead of 10th. Hamlin, who has missed the last three races this season due to injury, dropped one spot to 26th, 166 points behind Johnson and 95 points out of 10th. Sadler is not running for Sprint Cup points this season. He is contesting the NASCAR Nationwide Series championship with JGR. Eighteen races remain before the 12-driver, 10-race Chase for the NASCAR Sprint Cup begins Sept. 15 at Chicagoland Speedway in Joliet, Ill. Only the top-10 drivers in points are locked into the Chase. 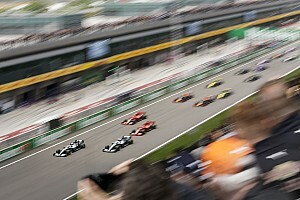 Positions 11 and 12 in the Chase are wild cards, awarded to the two drivers between 11th and 20th in points with the most wins. In the event of multiple drivers having the same number of wins, a driver’s point standing serves as the tiebreaker.